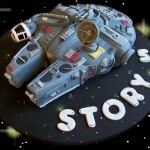 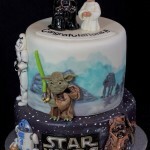 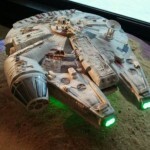 Without looking, I am not sure, but it feels like the most popular kind of cake that I seem to post about is Millennium Falcon cakes. 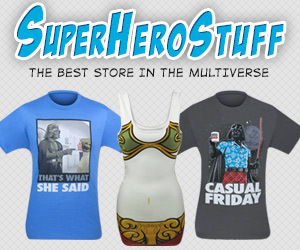 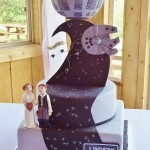 I have posted a bunch of them but this one is a little more unique than the others in that at the back of Millennium Falcon hangs a just married sign. 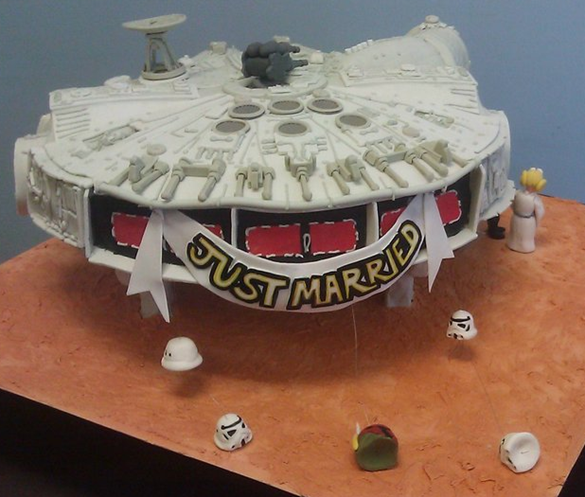 I’ve seen those kinds of banners on cars before, but this is the first time I have seen a just married banner on the back of space ship. 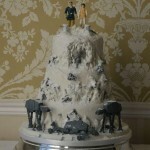 And I definitely know I have never seen any Stormtrooper and Boba Fett helmets dragging behind the vehicle of some newlyweds. 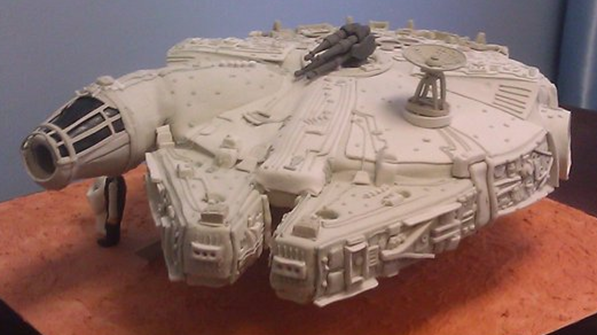 Unfortunately, I don’t know who made this awesome cake (if you know, let us know in the comments below), but I would say it is just as impressive as the amazingly detailed Millennium Falcon wedding cake I posted last year.